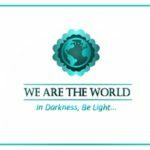 The aim of We Are The World Blogfest is to shine a little light on any darkness in the world or in ourselves, by sharing uplifting stories. The blogfest seeks to promote positive news. There are many cases of love and light out there, stories that show compassion and the resilience of the human spirit. Sharing these stories increases our awareness of hope in our increasingly dark world. This gathering takes place on the last Friday of every month. Our special lead co-hosts for this month are: Peter Nena, Inderpreet Uppal, Shilpa Garg, Roshan Radhakrishnan, Sylvia McGrath and Belinda Witzenhausen. Hundreds of prisoners have crocheted a 7 000-square metre blanket in honour of late anti-apartheid activist Nelson Mandela. The enormous blanket depicts the face of the former president and is made up of more than 3 000 smaller squares. Revealed at the Zonderwater Prison outside Pretoria, the crocheted artwork is meant to mark the centenary of Mandela’s birth this year. After the launch, the blankets will be reduced to nearly 4 000 smaller blankets and will be distributed to needy South Africans. If you like this initiative please help spread the word on social media via the hashtag #WATWB. Looking for some uplifting stories? Want to be a part of this wonderful initiative? It’s really amazing! A great reminder of one man’s impact on the world! What a great culmination of creativity and craft, honouring such a great humanitarian. Thanks so much for sharing this and for being part of #WATWB! Thanks, Belinda! Since thousands of people from South Africa and other countries contributed, it’s also helped to bring people together! I love the initiative. Rehabilitating the prisoners through arts. And those people are very fine artists. “Stitch by stitch we can put the world together ” is a wonderful concept to bear in mind as we strive to make the world a better place. Thanks for letting us know about this. This is a wonderful topic for WATWB! What an amazing project and uplifting story. I love all the aspects of this – the tribute, the prisoners’ involvement, and the fact the blanket will now go to those in need. How perfect! It’s a wonderful project for a wonderful cause… and it ‘unravels’ towards the perfect conclusion! Now that is warmth in more ways than one! Thanks for sharing, Michelle. Wow. This is really amazing. I have known a lot about Mandella while we were there at South Africa. Great to honour him in this way.